WAFFLES: Hey Boss! Happy 4th of July! KATIE: Waffles, do you even know what the 4th of July is? WAFFLES: Uh, the 4th of July??? KATIE: Wow, Waffles. Nothing gets past you. KATIE: Waffles, today is the day we celebrate our country's birthday. WAFFLES: Cool! I'm going to decorate for the birthday party. There's cake, right? WAFFLES: No CAKE??? What a rip-off. What kind of birthday is that? KATIE: Waffles, not EVERYTHING is about food. On July 4, 1776, our country's founders signed the Declaration of Independence and the United States of America became, well... the United States of America. Each year we celebrate our nation's birthday with fireworks and family reunions. 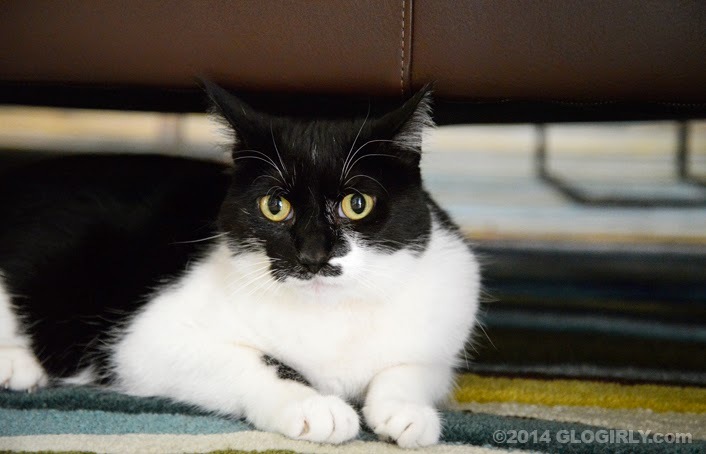 KATIE: Now hurry up and get under the bed. Happy 4th of July to all of our US friends! The Servicemen, Women & Animals that keep our country safe. WAFFLES: I still say there should be cake. I say there should be cake but treats will do just fine. Happy 4th of July! Our Mommy agrees with Waffles. Cake she definitely be included. Poor Waffles. First a wedding with no pie and now a birthday party with no cake. I'm with you Waffles. There should always be cake. Happy 4th of July! There may not be cake, but round here there is BBQ! I was told there was going to be cake ;) Happy 4th everyone. I thought Fourth of July was about barbecued chicken - silly me! Have a safe and quiet fourth! 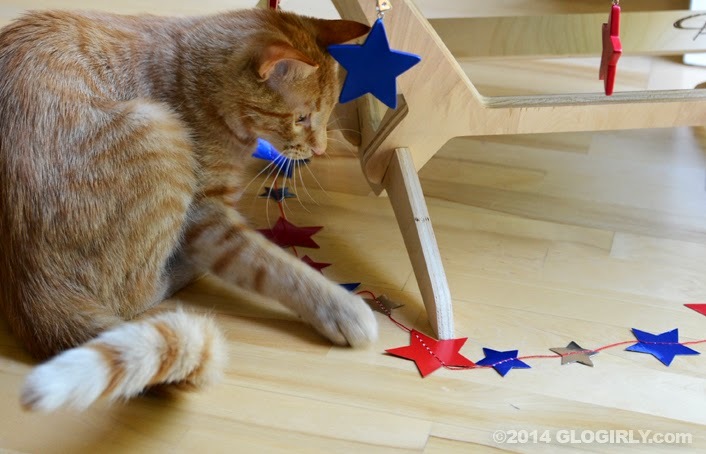 Happy Independence Day to our furriends! We hope you have minimal noise crackers at your house today. Happy 4th of july Katie,Waffles,Glogirly and Gloman! Yes, there should be cake, with whipped cream frosting. None of that buttercream stuff. Let us eat cake! Katie's American history is kinda rusty. It took until November of 1776 for everyone who signed the Declaration of Independence to finish signing it, and the United States of America wasn't actually established until 1787. Have a great and safe Fourth, everyone!!! UTB sounds like the best place for kitties to be. We'll send some cake over, too. ;) There's always cake here on the Fourth, as well as other yummy things. Happy Fourth of July!!! Be safe & hope you get some grilled meat!!! Yum!!! Happy 4th July from across the pond, stay safe. Of course there should be cake for birthdays! Happy Independence Day to all our friends in the USA. We're with Waffles. Everything revolves around food! Happy 4th! You look wonderful! Wait, no cake? We aren't too happy about that news, either, Waffles. It's not a birthday without cake. My mommy has some cake. Well, half a piece anyway,and it's in the fridge! Carrot cake. Can't say it's my choice. I'm with Waffles on this one? NO CAKE? Outrageous. But there must be nip, right? Surely there must be nip! How great of you to mention the military hero's as well!!!! Hope you have a great 4th of July!!! Wonderful post ... and Waffles we think you should get some cake! HAH! You blew your line, Waff. 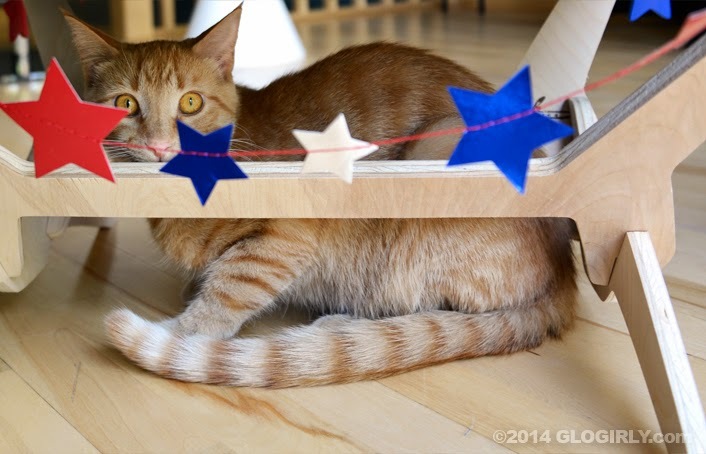 When Katie axed if you knew what the 4th of July was, you should have said “yeah, the day after the 3rd of July.” MOL! Let there be cake … and tuna. Happy Independence Day. Cake or treats of some sort! Wonderful post. Happy 4th of July. UTB? Goooood plan. unless you're Maxie-of-the-bad-hearing. Who coudl care less about the boomies. He's weird that way. 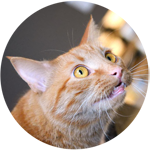 Waffles, you are just the smartest cat we've ever met...bless your heart! What do you mean you're not having cake?!?!?! There must be some reward for enduring fireworks! Happy Fourth of July! Your right Waffles, cake goes with everything in my book too. White cake and white frosting, ummm, melts in your mouth. Maybe that's why I can't lose weight? 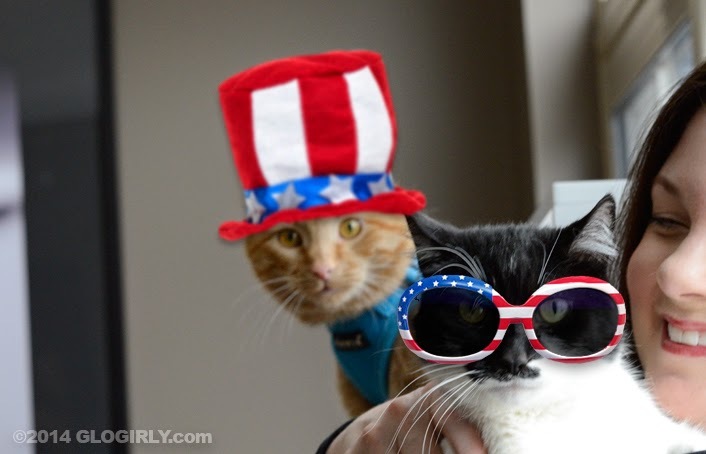 I hope you had a great 4th of July my American friends and fun kitties!! And yes, Waffles, there should be cake! Maybe crab cake for you and Katie though. Waffles, shall we write a cake-song to go with our pie-song? We agree there should be cake! Hoping you had a happy, safe and uneventful 4th!